Painting holidays on the Isle of Skye, with Skye based artist Julia Christie. KnoydART Skye Retreat provides the ultimate in painting holidays on the Isle of Skye. KnoydART Skye residential painting retreats offer luxury en-suite accommodation and a nurturing atmosphere where you can relax and unwind and discover the artist within. 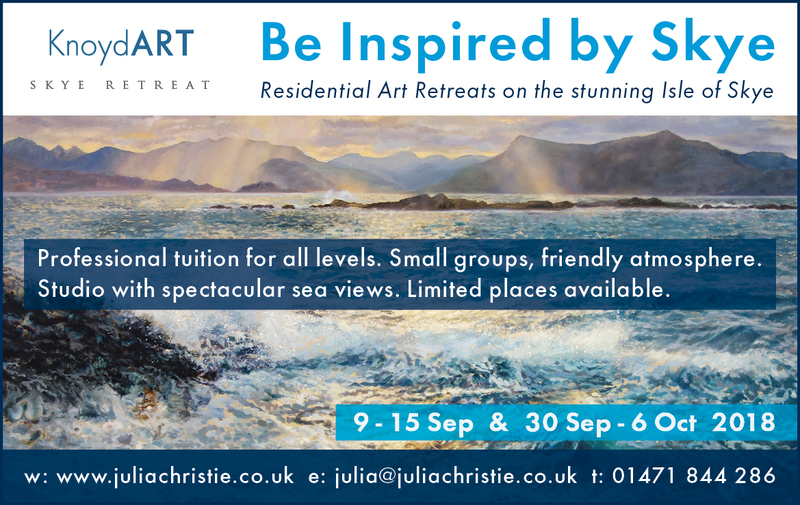 Hosted by Julia Christie in her home and studio in Ardvasar, Sleat, on the southern peninsular of Skye, the retreat is set in a stunning location with breathtaking sea and mountain views. Non-painting partners are welcome to stay and relax at KnoydART. Contact Julia for more information or to book.